A week after setting the tone by skittling Aaron Finch's stumps in Adelaide, Ishant Sharma's skittish start to the second Test suggested the spearhead's no-ball dramas may be playing on his mind. Sharma started his first spell of the four-Test series in emphatic fashion, uprooting two stumps while dismissing Finch for a duck to put India on track for a 31-run victory. The veteran was far less threatening during his four-over spell in Perth on Friday morning, when he was handed the new ball and asked to create chaos on a green-tinged pitch. Sharma was taken out of the attack after struggling to hit the 130 km/h mark in his fourth over, which featured three boundaries and a no-ball. Former Australia paceman Damien Fleming suggested recent scrutiny of Sharma's habit of overstepping may have been a factor in his ineffectual opening spell. "We saw in his first over he wasn't pushing the line," Fleming said on Seven. "Maybe he's running in looking at the line and not focusing on where he wants the ball to go. 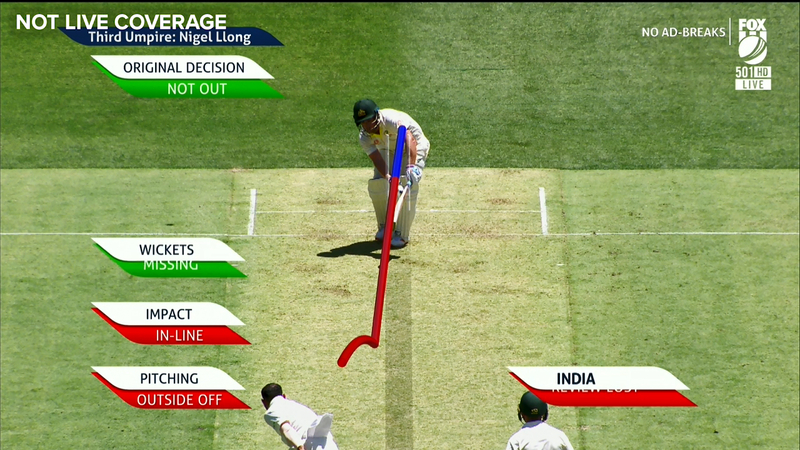 "The radar isn't working for Ishant today, he has been all over the place. He has been too wide. "He is really conscious of bowling no-balls." Mark Waugh, calling the game for Fox Cricket, suggested Sharma looked "awkward" and not at all comfortable. Sharma has been a near-constant presence in the headlines since the end of the first Test, with footage revealing he should have been called for 16 no-balls in Australia's first innings of the series opener. Sharma was denied the scalp of Finch in Australia's second innings of the first Test because of a no-ball then overstepped again when he looked to have captured the final wicket of the thrilling match. Tim Paine urged umpires to crackdown on no-balls during his pre-match press conference in Perth. "I'm glad it's been brought up and certainly been spoken about," Paine said. "I don't think it's a great look for the game. "Hopefully they police it really well this game."